Organic-based electrolytes for flow batteries. Zinc-air flow batteries and fuel cells. 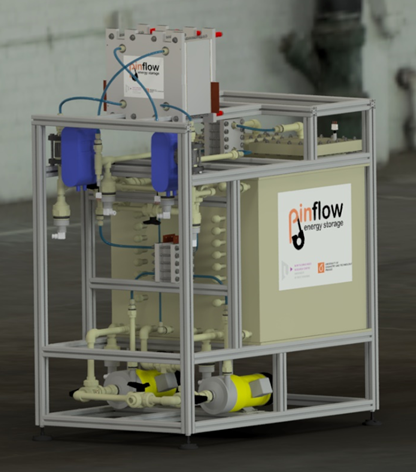 In particular, our research focuses on the study and description of processes taking place in redox flow batteries, especially vanadium redox flow batteries. Individual factors influencing the efficiency, cost and durability of storage technologies are studied both experimentally and theoretically. The main research directions are following: study of electrode reactions kinetics and electro-catalysis ; experimental and mathematical description of transport properties of ion-exchange and porous membranes [2, 3]; development of composite conductive plates for batteries ; optimisation of battery stack geometry with respect to ohmic and hydraulic losses; experimental and mathematical description of losses caused by shunt currents. Recently, we started the search for alternative electroactive substances for flow battery electrolytes based on organic redox compounds, which may significantly improve the technical and economical parameters of existing technologies. We investigate the relation between molecule structure and functionalization and the properties relevant for the application in the battery. The intersectional collaboration with University of Pardubice and Centre of Organic Chemistry, Ltd. is realised within European Regional development Fund-Project "Organic redox couple-based batteries for energetics of traditional and renewable resources (ORGBAT)" No.CZ.02.1.01/0.0/0.0/16_025/0007445. Besides that, the research group focuses on innovations for zinc-air based flow batteries and fuel cells. Our interest aims on the optimization of zinc metal deposition  playing a role during charging, study of battery electrolytes, development of novel cell designs and simulation of cell performance and lifetime. 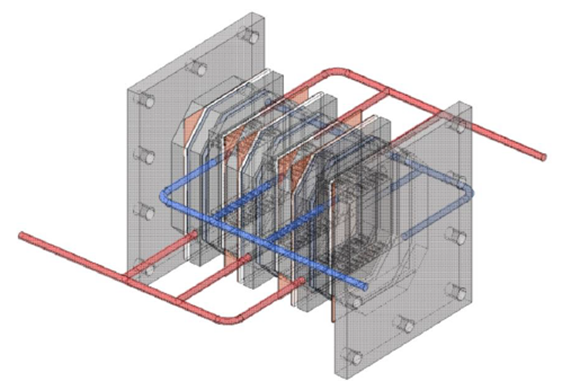 With concern to a thermodynamically consistent modelling, we are part of an international research network focused on zinc-air flow battery systems, which is formed within European Union's Marie-Sklodowska-Curie programme “European Training Network to improve materials for high-performance, low-cost next- generation redox-flow batteries (FlowCamp)”. P. Mazúr, J. Mrlík, J. Beneš, J. Pocedič, J. Vrána, J. Dundálek, J. Kosek, Journal of Power Sources, 380 (2018) 105-114. J. Vrána, J. Charvát, P. Mazúr, P. Bělský, J. Dundálek, J. Pocedič, J. Kosek, Journal of Membrane Science, (2018). M. Pavelka, F. Wandschneider, P. Mazur, Journal of Power Sources, 293 (2015) 400-408. P.M. J. Křivčík, Z. Černá, WASTE FORUM 2017, 4 (2017) 328-333. J. Dundálek, I. Šnajdr, O. Libánský, J. Vrána, J. Pocedič, P. Mazúr, J. Kosek, Journal of Power Sources, 372 (2017) 221-226.